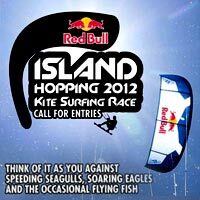 The Red Bull Island Hopping Kite Race will be on the 7th and 8th of July. It will be in association with Kitesurfing Lanka. This will be the 3rd year that Red Bull Sri Lanka has teamed up to work out an event of this nature. As Sri Lanka gets on the map for the sport, Kitesurfing Lanka will continue to develop and promote the sport right throughout the island. Thanks must go to Neil and Willy from the Kiteboard Tour Asia who have supported Kitesurfing Sri Lanka in numerous ways. KTA Race Director Stephen Hertig will be the official Race Director for this event which will see participants from a number of countries taking part.